Youth Group Fundraiser. Brand new Curvy Corner Trio Punch. Lot of New Extra Large - Stampin Up! Punches - You Choose! Slim and stackable. Sleek body style. Before you open an e-bay case. This would be faster and effective. Stampin' Up! Punches, Sold Separately, I do combine shipping! It works great. I'm also including an extra cutting blade and score blade. I did write an "S" on the score blade with a sharpie so I wouldn't cut by mistake. Ending Apr 22 at 1:52PM PDT2d 11hBrand: Stampin' Up! You will receive a card making kit with Stampin' Up! Gingham Gala Designer Paper and matching Organdy Ribbon. 5 yards of Organdy Ribbon ~ 1 yard in each color to match the designer paper. This is a great punch! I LOVE IT! And this one is the new style.even better! 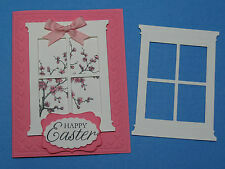 Nice for cards, scrapbooking or any other kind of craft you wish to use it for. Check back! I add new things often! Ending Apr 21 at 1:12PM PDT1d 10hTop Rated PlusBrand: Stampin' Up! STAMPIN UP Owl Builder Punch . Condition is Used. Shipped with USPS First Class Package. Ending Today at 9:20AM PDT7h 4mBrand: Stampin' Up! 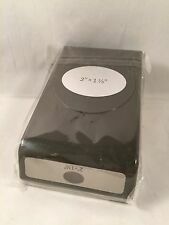 Stampin Up Label Paper Punches - Free Shipping!! Stampin Up! Paper Punches. Paper Punch. Curly Label Shape. make Supersized seem small. Stampin Up Punch Windows Movers And Shapers. Condition is Used but in great condition. Shipped with USPS First Class Package. Ending Apr 25 at 11:51AM PDT5d 9hBrand: Stampin' Up! Stampin Up Galvanized Metalic Paper. Condition is New. 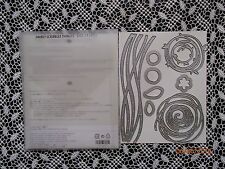 Stampin Up ROUND TAB PUNCH Whale Tail Paper Shapers File Folder Office . Condition is Used. Shipped with USPS Priority Mail. Ending Today at 9:08AM PDT6h 52mBrand: Stampin' Up! Ending Apr 21 at 7:57AM PDT1d 5hBrand: Stampin' Up! RARE AND RETIRED OWL BUILDER PUNCH Stampin Up 2-Step Penguin Monster Punch Art. Super cute and in great shape. The hexagon shape on the top has scratches but otherwise it is in good shape. Ending Apr 24 at 4:48PM PDT4d 14hBrand: Stampin' Up! Stampin Up ITTY BITTY SHAPES PUNCH PACK circle/flowers EUC! Set of 3 punches. Punch like butter! Check back! I add new things often! Ending Apr 21 at 1:21PM PDT1d 11hTop Rated PlusBrand: Stampin' Up! Stampin' Up Scallop Circle Punch 2 3/8"
Stampin' Up Scallop Circle Punch 2 3/8". Condition is Used. Shipped with USPS Priority Mail. Artisan Label punch by Stampin Up - Retired. 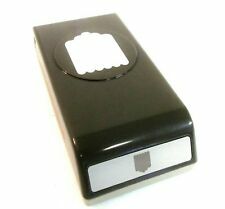 Decorative Label punch by Stampin Up - Retired. Ending Apr 21 at 2:42PM PDT1d 12hTop Rated PlusBrand: Stampin' Up! Cupcake Builder punch by Stampin Up - Retired. Cupcake Party. Create a Cupcake. STAR CONFETTI punch by Stampin Up - Retired New in package Locks flat for easy storag Shipping to United States and APO (Military PO box) addresses only. Stampin' Up! 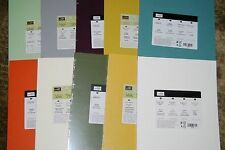 Embossing Folders, Sold Separately, I do combine shipping! ORNATE TAG TOPPER punch by Stampin Up - Retired New in package Locks flat for easy storage Shipping to United States and APO (Military PO box) addresses only. Owl Builder punch by Stampin Up - Retired New in package (I do open package to quality check each Punch before it leaves - checking that It springs open and closes with ease and does not jam). All punches are straight from Stampin Up. Locks flat for easy storage Tons of ideas on Pinterest and web for making characters out of. One pic shows ideas but are not included in listing Shipping to United States and APO (Military PO box) addresses only. 2 different size Butterfly cut outs (~1-7/8", ~9/16"). Bakers Box Thinlet Die made by Sizzix exclusively for Stampin Up Thinlet is new. Bonus magnet sheet included Requires 2 pieces of 6-1/4 inch x 5-3/4 inch (5-1/2 works but very tight) cardstock to create 1 box. 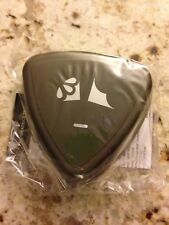 Box base is approximately 2-5/8 inch x 2-1/4 inch and is approximately 2-1/4 tall before the triangular top part. Requires a Big Shot (or like product) to use which is not included. Shipping to United States and APO (Military PO box) addresses only. Ending Apr 29 at 8:04PM PDT9d 17hBrand: Stampin' Up! Clear/cling mount (red rubber) - requires acrylic blocks not included. Locks flat to easy storage. Stampin Up! 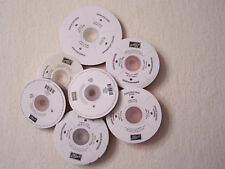 1 3/4" circle punch 1.75” Round Whale Punch Scrapbooking. Condition is Used. Shipped with USPS First Class Package.